Everyone has different needs on what kind of coffee machine would best suit their working environment; from a compact low volume dispenser that sits on a small work top, to a floor standing machine with a wide range of products for a large organisation or indeed a public site. GMG can provide a selection of management options from a fully managed service where we take care of everything, to a self operating solution, that involves us providing you with the machine on a lease or rental, with all the supplies required and the maintenance. We are also very proud to announce our ‘NEW’ partner Keurig®, who strive to offer a brewing experience for even the smallest number of users, to rival your favourite coffee house. Together we are able to provide quality beverages including Starbucks® Coffee, Twinings Tea, Hot Chocolate and even Green Tea. This will allow everyone in your workplace or luxury accommodation to get exactly the kind of coffee that they want. 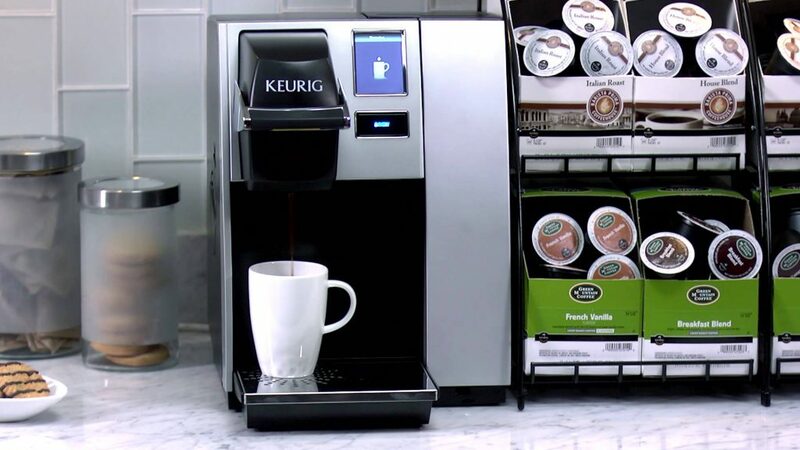 It is therefore no surprise that Keurig® are the number one single cup brand in North America. In fact we are so confident that you will love these products, we can even provide the machine for FREE. Simply request a ‘free trial’. There are two machines in the range; the Keurig® K140, which does not require plumbing-in, making it truly viable for any situation. The Keurig® K150 is the plumbed-in version, perfect if you have the convenience of a mains water connection. Get Started Today.